From the acclaimed author of A Stranger in this World and Into the Great Wide Open comes a novel that explores reckless love and penetrates the unrelenting winter landscape of the American West. Marvin Deernose, a Native American carpenter and recovering alcoholic, has just returned to his Montana hometown with hopes of finding a new start. Early one snowy morning, Marvin notices an overturned Cadillac down an embankment. After rescuing the elderly Senator Henry Neihart, who has just suffered a stroke, Marvin is invited to the Senator's estate where he is immediately drawn to Justine Gallego, the Senator's wayward, unhappily married granddaughter. As these tarnished souls recognize their profound, shared attraction, they dive headlong into a dangerous and intense affair that forever alters the course of their lives. 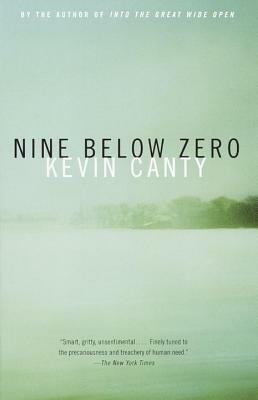 Kevin Canty lives in Montana.